Christmas comes on June 8 this year -- at least if you’re a Nationals fan. That’s when the man who has been given the nickname “Jesus” will make his major league debut against the Pittsburgh Pirates. 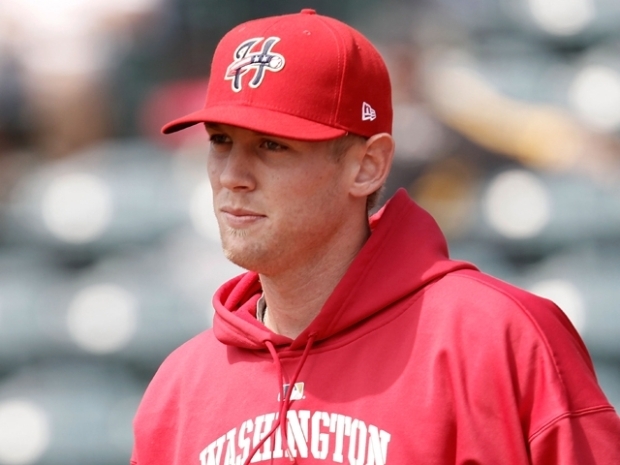 Stephen Strasburg has dominated the minor leagues after dominating college. Now, he’ll try to make the leap and dominate on the highest level for a Nationals team that is in the thick of the playoff race. If you have any hope of seeing Strasburg’s first big league performance in person, then you’d better be willing to pay up. Tickets are not available on the Nationals’ website. Of course, there are other options out there. We checked out StubHub, and a seat in the upper deck in right field will cost you about $55. That’s the cheapest you’ll find. If you want to get a better view, tickets go all the way up to $2,000. For that money, you can sit right behind the dugout, and -- win or lose -- you’ll see a moment in Nationals’ history that will only happen once. Oh, and if you want to see the Nats play the Reds on June 4, the day Strasburg was originally rumored to make his big league debut, plenty of good seats are available on StubHub. That would include more than 20 with a price tag of $1,000 or more. Three tickets are still going for $3,500 EACH. Soon-to-be Nationals ace Stephen Strasburg shares his patience and passion for the game.